Catlanta (Rory Hawkins) was back at Kate's Club for August! Kate's Club serves kids and teens dealing with grief after the loss of a parent or sibling. Rory brought lots of his famous wooden kittens, talked with the kids about handling big feelings surrounding the beginning of a new school year, and decorated the kittens to represent how they feel on the inside vs how they act on the outside. 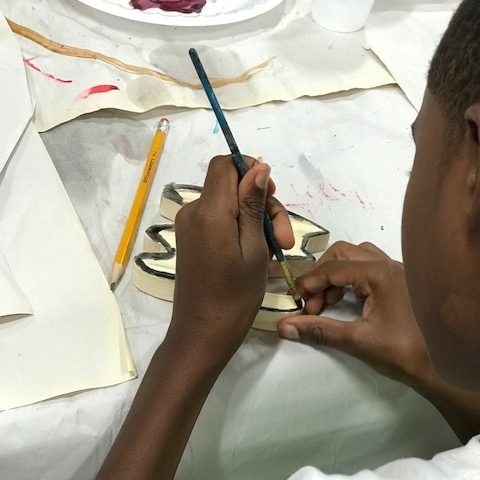 We were so honored when Miranda Kyle, Paint Love artist and Arts and Culture Project Manager at the Atlanta Beltline, approached us to host Family Paint Day for the new Westside Trail on the Beltline. Julie arrived early and volunteers helped prep the graffitied pillars before the families joined in. Paint Love Artist Lindsay Ryden designed this whimsical, fun mural, and we just love all the quirky details! Over 100 people braved the rainy forecast and came through the bustling tunnel, stopping to don an apron (thanks to Blick Art Supply!) 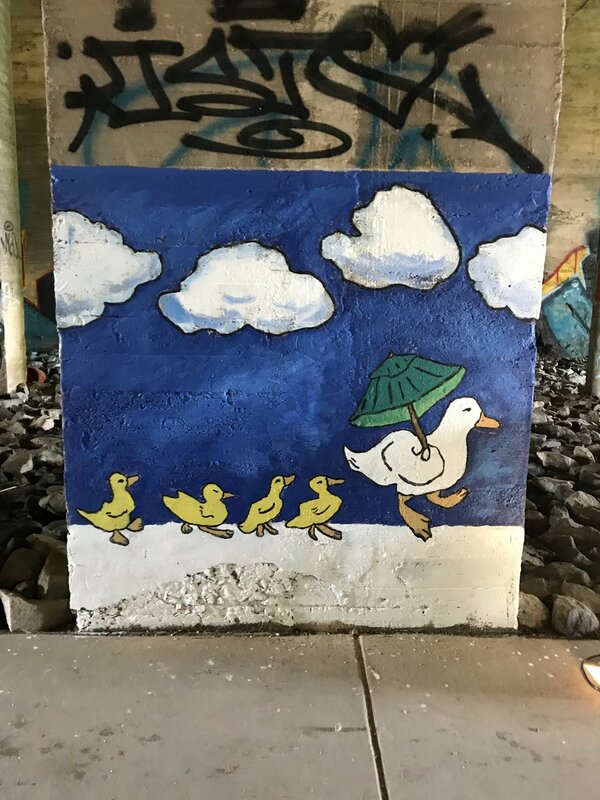 and helped prep walls, and paint the festive parade of animals while the Beltline muralists created their own masterpieces on the opposite side of the tunnel.